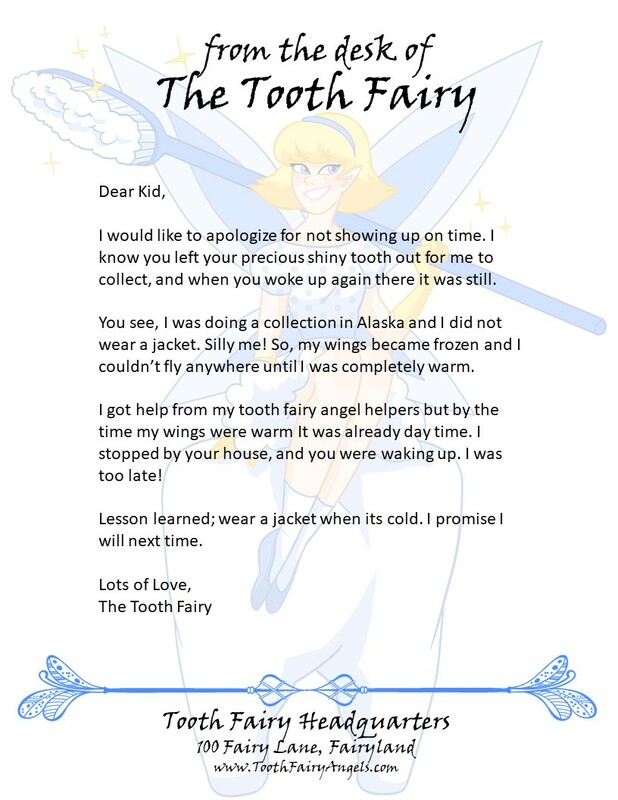 Tooth Fairy Angel will mail your children an official Certificate of Collection and an Official Letter from The Tooth Fairy. 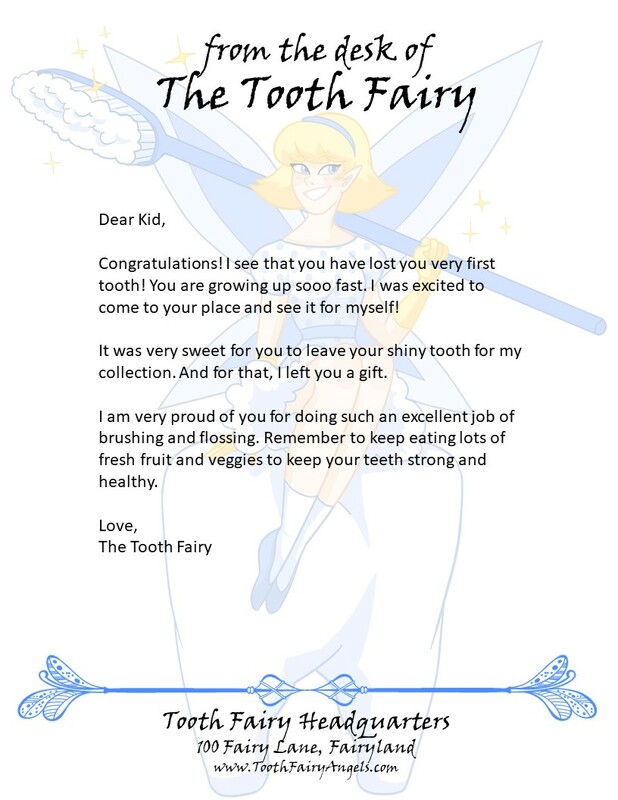 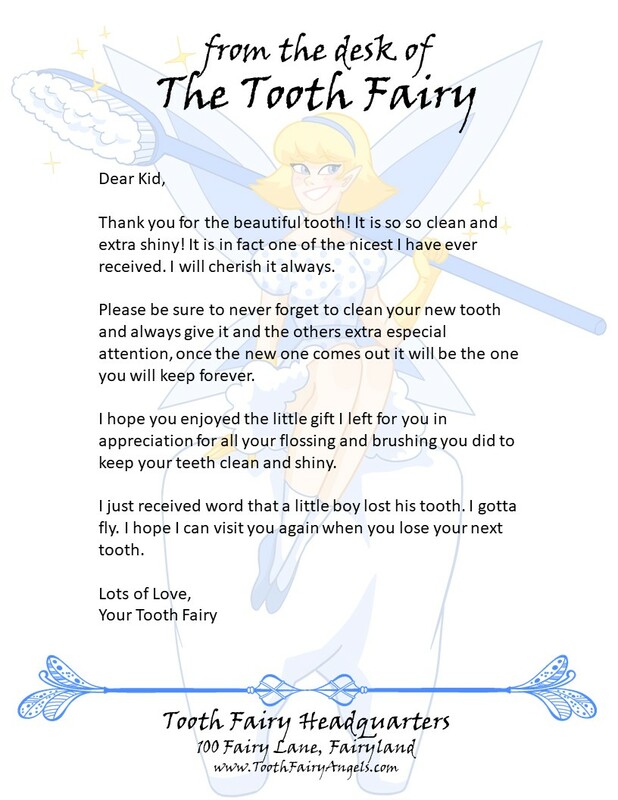 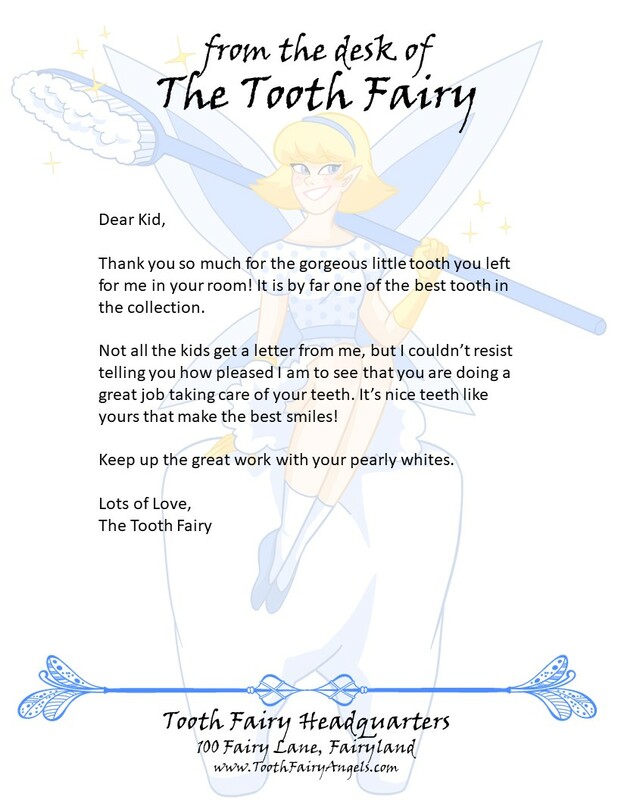 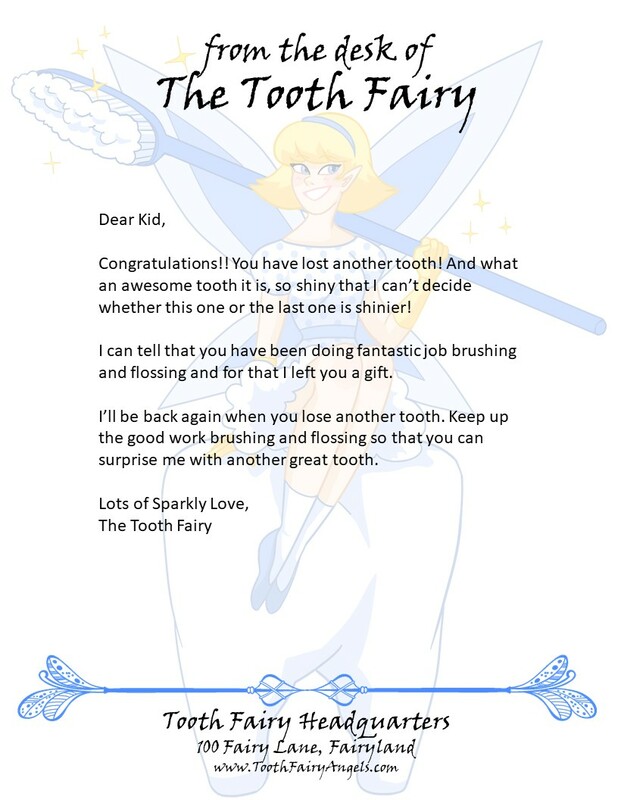 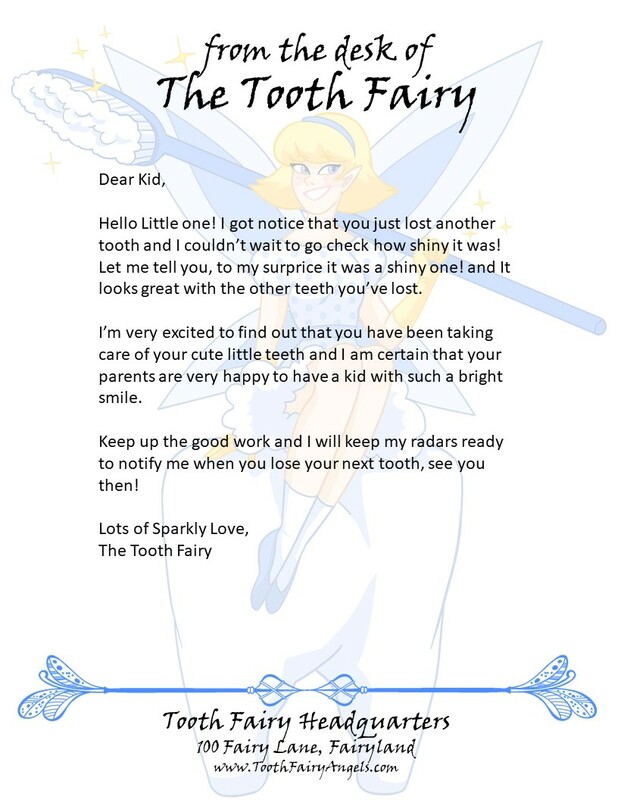 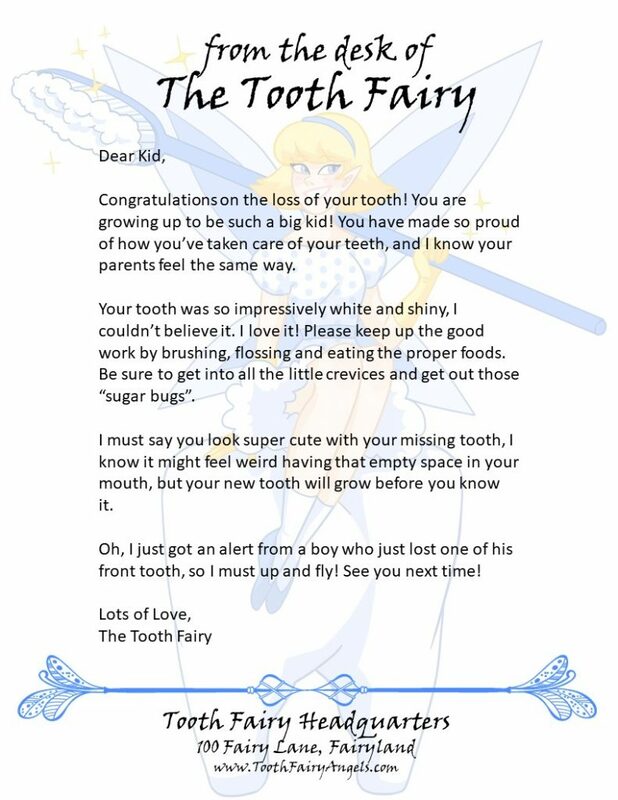 With various letters to choose from, you can bring extra magic to your child’s life by gifting them personalized letter from the famous tooth collector, the Tooth Fairy! 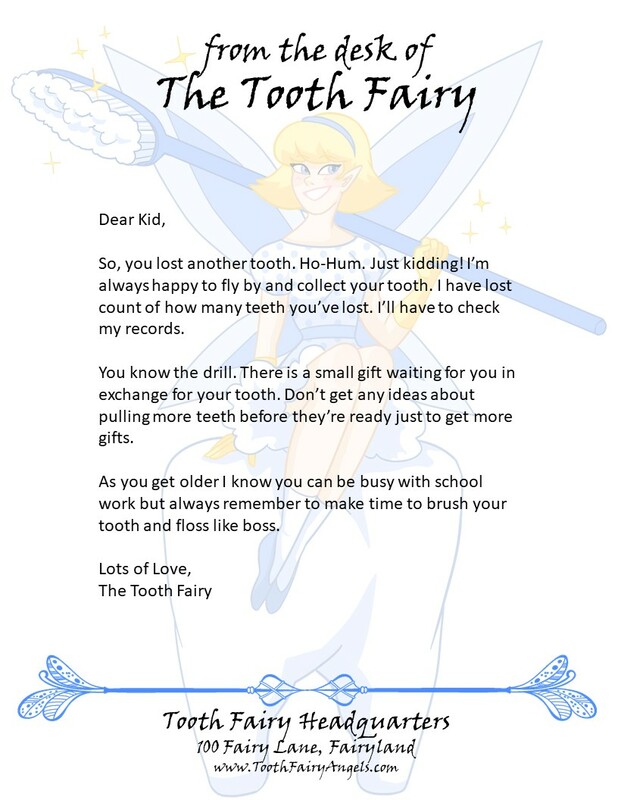 Each letter will be signed by The Tooth Fairy and will be accompanied with an official Certificate of Tooth Collection, with the child’s name, the date and the Tooth Fairy’s signature. 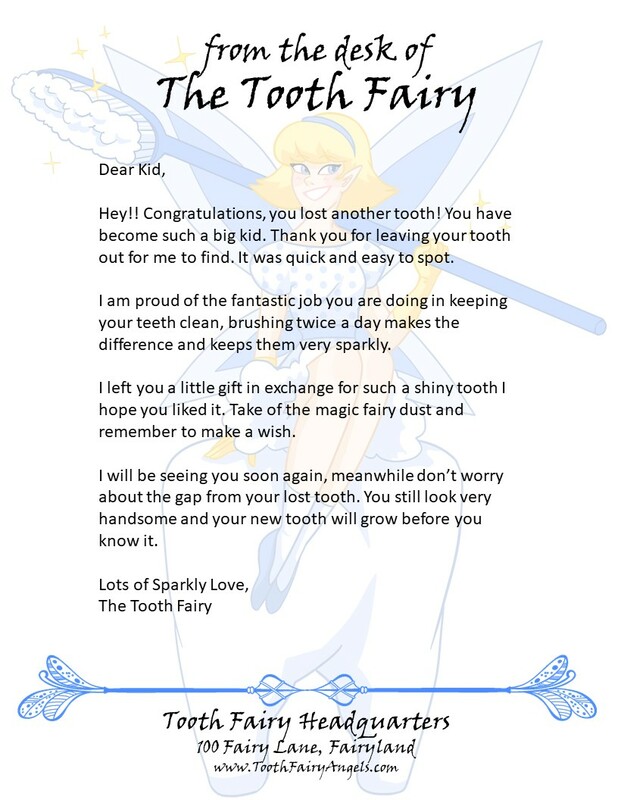 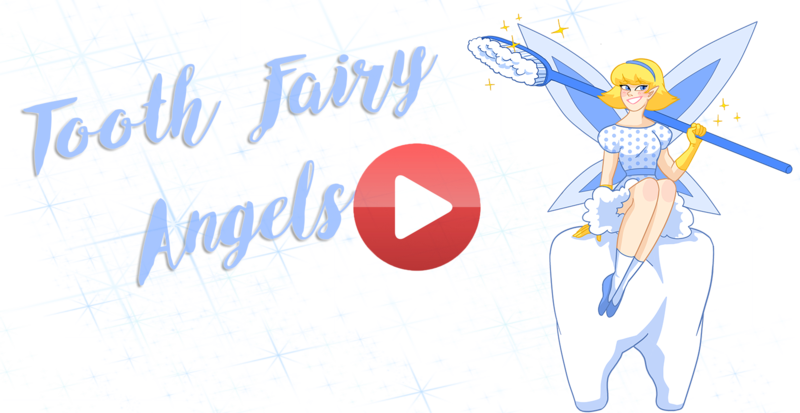 We are the Tooth Fairy Angels, helping Tooth Fairy deliver letters to the growing children of the world. The Tooth Fairy Angels will mail your children an official Certificate of Collection and an official letter from The Tooth Fairy.